My 100th post called for a celebration! And, so, I did it the only way I knew how to. I caressed the keyboard and let my fingers work their magic. It had to be special. It had to be something not said before. But then again, every tale ever known has already been told. So, I delved into my bag of memories and pulled out a story for today. I was an only child. Quite content to be so. Those 6 odd years of my life were glorious, I think. Memories can be quite elusive at that age. And one day mom announced I was going to have a little sibling to play with. I was ok with it. Apparently, according to my school staff (who mentioned it at a recently held reunion), I was quite ecstatic and went and announced to all who were willing to listen, “Meri Mummy ko baby hone wala hai” (My mom’s gonna have a baby). One warm summer morning I was woken up and told that I had a baby sister. I wanted to see her and ask if she could come to play that evening. But she was too tiny. Everyone around me made it a point to let me know I was a big girl now. And I had to take care of her since she was so little. I took my responsibility very seriously. My first job was to give her a nick name. So I gave her the best I could think of. ‘Baby’ was what she was called since then. Now, we fast forward to the years when she could walk and talk. The nappy years were a little too messy. Baby had the biggest brown eyes you had ever seen. I taught her to make funny piggy faces. I’d cart her along to play and she’d follow me dutifully. She was my ‘personal walking and talking doll’. As I grew older (read rebellious), she was still the one with the halo around her head. I’d be the one to get us into trouble. I’d also be the one who’d tuck her behind me when we were reprimanded. Baby learnt the art of ‘water warfare’ early on in life. A trickle down her cheeks saved her every darn time. Me, I was made of sterner stuff. Bottom line, I was the black sheep and she was the innocent kitten in bad company. We both were content in our respective roles. I was to shine bright and bring home the A pluses. She was to be the ideal, loving and obedient daughter. The only flip side is we were made to wear the exact same dresses for every function and festival. It was like, almost, as though mom thought we’d get lost in the melee. Identical outfits were a precaution. Anyway, life carried on smoothly till I hit the traumatic teens. I fell in ‘love’ and all hell broke loose. Mom made her the resident CIA agent to spy on me and the poor thing was caught between the devil and the deep blue sea. We both grew up during that time. Baby and I never fought. I was supposed to protect her remember? But one night, over something silly, we did. And we showed our displeasure by taking chances to switch off the fan and putting the other to discomfort. Never mind that the sweltering Bombay heat was killing both of us. Yes, we were like that only. Over the years, we’d confide in each other in bits and pieces. I was never really sure if she was still the resident CIA agent. She, on the other hand knew my middle name was TROUBLE. Years passed, somehow, somewhere, the 7 odd years between us began diminishing. I’d be the one she’d look up to. She’d be the one I’d buy the first Christmas present for every year. I remember one year I saw this chocolate brown dachshund shaped bag. Santa got it for her that year even though she had to budget her spends for it. Years later, my entire first salary was to go to pick her a Casio keyboard that she wanted. Yes, she was my baby in the truest sense. Today she is miles apart but she jumps in an airplane at the slightest excuse to see us. We giggle, gossip and gorge on eats. She, now, is this young lady that I am so proud of. She has done exceptionally well for herself and is the ideal role model for her only niece. As godmother and aunt to my daughter, she spoils her rotten. She can’t help it, the princess is her replica and she loves it! BTW, now the tables have turned. She buys me gifts and I ain’t complaining. My Christmas this past year was a very VAIOble one. Why just this year she plotted and planned a naughty birthday surprise for me as well. It’s not just about the gestures. It is about having witnessed a girl grow up into this wonderful woman, even though you tried very hard to set a bad example. Siblings are great but sisters are something else. Get one for yourself, if you can this Woman’s Day. As for me, I still tuck her behind me whenever mom and her marriage proposals come a knocking. Those fellas will have to deal with me first. Some things, I guess never change. Never having a sister, I love to observe the bond between sisters. Having Akita connect with me out of the blue to plan her Didi’s birthday surprise was so sweet. I enjoyed talking with her on the phone and meeting her – she’s so self-contained and content. Both of you are truly blessed in each other. Yes Indira, the bond is special indeed. Haw hai… Its about me!!!!! Doing the happy dance.. n pls u neva set a wrong example… I look up to u in every way. Except cooking skills 🙂 nn love u loads n am the most happiest baby in the world to have u mUuuuuuuuuuuuha….. Thank God for the cooking skills bit….lol! And I heart you too……………MUAH! A lovely post… and sisters are special! Thanks Anumpama. Yes, I second that. 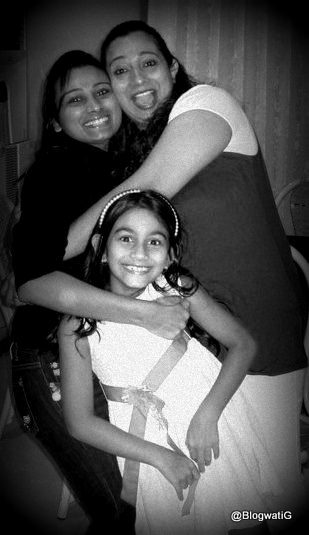 I am too the eldest one of my sisters and have always a second mother to them. Form their studies to match finding to the outfit for the D-day, everything had to go though my scrutinising eyes. I always say I have three daughters, only the third one has born after a huge gap. Oh ya, my sis keeps lamenting she has two mothers……lol! lovely post .. i never had a sister .. but i have a very close twin brother whose very special to me, special than anything else in the world! 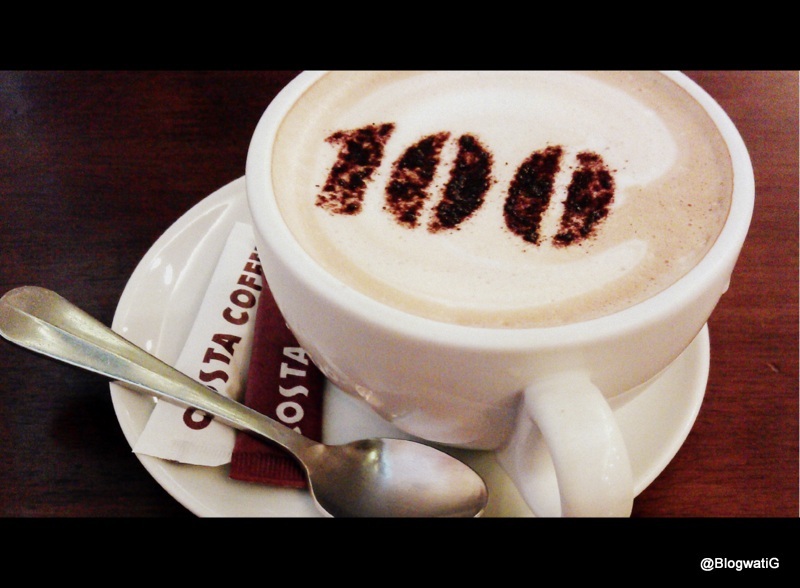 beautiful 100th post! Congratulations!! I do have a mooh-bola sister, so I understand the feeling!! Sisters are the best soul mates you can find, Roshni. Posts like this make me wish I had a sister too. But growing up, I made a few friends, and they’ve become the sisters I never had. This one made me smile. Awwwww I know what you mean. But soul sisters too are a lucky find. Hai .. I wish I had a sister ! I have an elder brother instead .. sigh …. Ruch recently posted…Age No Bar – 55 Fiction ! Such a lovely post! Sisters are a treasure indeed!